Cross-collateralization (also referred to as Cross Securitization) means a loan which relies on more than one property for security – that is, there are two or more properties which are the security for one loan. It is important to consider the structure of your investment loan security as it is best to avoid cross-collateralization as much as possible. If a person has borrowed from the same lender, a home loan secured by the house, an investment loan secured by the investment property, and so on, these assets can be used as cross-collaterals for all the loans. If the person wants to sell one of the properties, the bank may need to revalue the other property to establish that there is sufficient equity remaining. This is also a requirement for the borrowers to provide new financials to satisfy the bank that they can still afford to have a loan. Cross-Collateralization provides the bank with an increased level of security. They now have control over what you do with your investment property and your home. Cross-collateralization ties you to one bank and the more involved you become the more costly it will become to unravel the web of cross-collateralization when you sell or refinance. Where possible have every loan stand by itself with as little cross-collateralization to other securities as possible. It’s really as simple as playing monopoly on a real life scale. Collect as many single titles, stand alone mortgages as possible and continue your path to wealth creation. 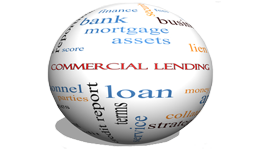 Major Banks, lenders, finance brokers and originators have all promoted ‘cross-collateralizing loans’, whereby the lender uses all properties mortgaged with it, as security for your outstanding loans. They also attempt to refinance all your existing loans with the one lender. There are a number of reasons for doing this – and none are for the benefit of the client. It ‘locks in’ a client so that all future housing finance must be obtained through that lender. It removes the need to disclose the valuation amount of the investment property, because equity in the family home is used. The property being purchased may be valued by the bank lower than the purchase price being paid, however the other properties already held as security make up the difference.